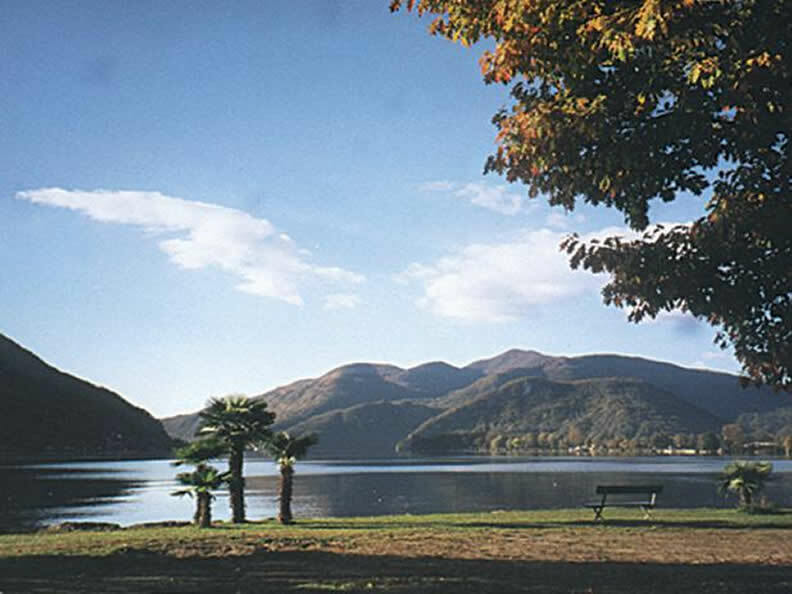 The best-situated campsite on Lake Lugano, according to our customers. Neat pitches shaded by old trees and a snack-bar with a terrace directly on the lakeshore make staying here a genuine pleasure. Amenities include warm showers - 150 electric sockets - washing machines and tumble dryers - freezing compartments for refrigerating - as well as waste disposal facilities for camper vans and a kiosk. The area abounds with beautiful places of interest such as Morcote, San Salvatore, the Hermann Hesse Museum, Monte Brè and Gandria. 2 landing-stages and a private slipway as well as guest moorings are also available.